Warren graduated in 1986 with a Bachelor of Commerce degree from the University of British Columbia. 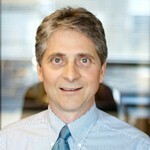 Prior to joining Fusion Performance Group, he was Area General Manager for Alberta and Saskatchewan with Nissan Canada Inc. His 11 Years with Nissan Canada provided varied experience in sales territory management, business management consulting, sales coaching and counseling, and a broad understanding of all aspects of business operations. This gave Warren the depth of knowledge required to provide excellent service to current and future clients. Since 1997, Warren has put this varied experience to work with our clients in Canada and international markets. Since joining the group of training companies, Warren has taken on a leading role in product and program development, client support, and business management. Warren has coached and trained the teams of some of our highest profile clients in the financial services industry. Warren's mandate is to expand our highly satisfied and successful client base. His approach is client driven and focuses on the pursuit of superior quality, variety, and timeliness of programs. Warren is married with two children and calls Victoria, B.C. home. An avid cyclist, Warren is a UCI licensed rider and races in local events when his travel schedule permits.